If economic patterns are to be any indicator, 2017 is set to be a record year for the global economy with several critical events to watch. All statistical analysis aside, years ending in a 7 have been ground zero for financial disasters. While a flawed financial system is the core problem within the global economy, recognizing these economic events will give you an advantage. Understanding the events that can trigger a crisis can leave you better positioned to secure your finances, navigate the storm and read between the lines of financial media. Drawing out an exact time and place for when the market might crash is only a fool’s errand. The economic and political events that have been set in motion over the past 12 months have only raised the stakes for financial turmoil. What is increasingly clear is that more perilous events appear to be headed directly for 2017. These events are worth understanding as they escalate severely ahead of an unavoidable economic storm. 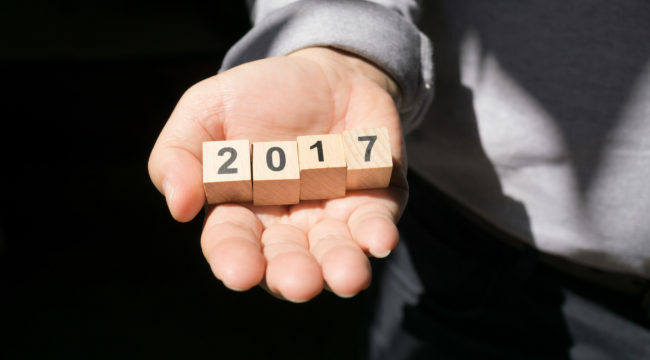 Here are the four economic triggers for 2017 that are worth monitoring as they add fuel to this dangerous financial climate. According to the Bank for International Settlements China’s overall credit-to-GDP gap has hit a phenomenal high of 30.1%. The Basel-based institution reports that the Chinese economy is at the highest risk out of any nation in more than two decades of data collection. Normally, any total from credit-to-GDP that is above 10% is considered to be at an elevated risk for financial banking strain. China has tripled that figure. This could be a very strong indicator that credit growth has hit an excessive amount and that a financial bust could be growing. While credit-to-GDP is one factor ailing China, its currency is another paramount concern. The latest shock to the Chinese system comes as massive currency outflows continue to flee the country at record pace. Goldman Sachs recently reported that $1.1 trillion in capital has left China since August 2015. That amount is more than double what the People’s Bank of China, the Chinese central bank, has publicly reported. This flight of money gives particular concern as the yuan is feared by investors to make its largest drop in value in 2017 in over two decades. According to NerdWallet, by the end of 2016 the total debt held by Americans is expected to exceed the amount that was owed at the beginning of the financial collapse in 2008. This comes at a time when people are believed to be gaining confidence in the financial system once again. Although the Dow Jones industrial average continues to circle near 20,000, the unnerving signs around debt cannot go unnoticed. The market might be signaling strength, but the real economy is showing a different story. The continued debt problem in America is even more visible when looking at younger generations. The Wall Street Journal reported that nearly 40% of Americans between the age of 18-34 were living with their parents in 2015. That is the largest percentage on record since 1940. The younger American population is under more debt, student loan obligations and credit card pressures than any other generation prior. While the economy might be doing better on the surface, the escalation of debt to levels exceeding the 2008 financial crash can at best be a truncation, and at worst be the gradual trigger for the next crisis. The Telegraph did the math and found that the UK would automatically be charged with a massive $62.1 billion bill. The British pound sterling in October hit a modern low in value not seen in over 186 years. If the drops in the pound are any indicator, the repercussions of the Britain-EU split will be significantly felt in 2017. Mainland Europe is the next critical turning point both politically and economically. France, Germany and the Netherlands are all due to hold pivotal elections. In the course of these elections, we could see the continued rise of right leaning leadership. For 2017, German Chancellor Angela Merkel could be ousted as the last remaining G7 leader of the original 2015 vanguard. During the course of 2016, cash has become a relic and something that governments from across the world have sought to reduce and eradicate. Starting in May when the European Union axed the 500 euro note, governments were watching around the world with laser focus on how a society could eliminate, overnight, a significant monetary cornerstone. 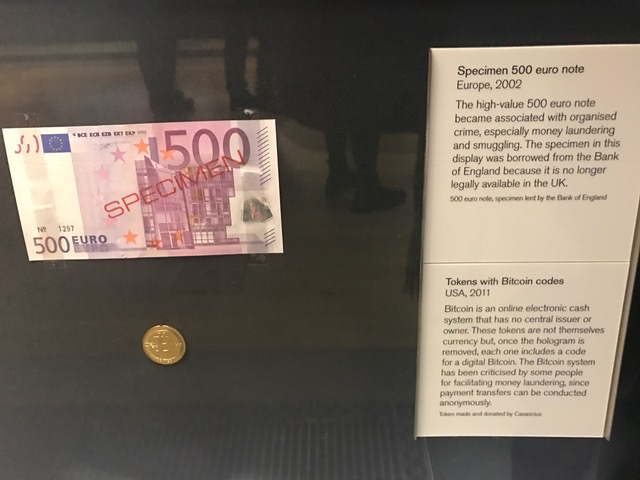 Image of the now “Specimen” euro currency. This image was taken just last week in the British Museum in London. Cash is already being noted as something criminal and an item of the past. Since then, Indian Prime Minister Narendra Modi declared in a shocking policy move the overall cancellation of two of the nation’s highest-denominated notes. This move effectively invalidated 86 percent of all currency in circulation for the country. The move was sought to push the population of more than one billion people further into the financial system, but has since left concerns in society about trust and transparency. Venezuela, not to be outdone, stepped in with a surprise declaration that the 100 bolivar note, the highest denomination banknote in the country, would be axed. By some estimates from the Venezuelan central bank, there are believed to be over 6 billion 100-bolivar notes in active circulation, making up nearly half of all currency notes in the country. Economists from the IMF have indicated that this move will only further escalate inflation in the country to levels that could top 1,600% in 2017. The war on cash could escalate even further in western democratic governments for 2017 and lead to tightening central bank policy, a freeze on credit and a shock to economic confidence that would rock a system that proves to be continuously unstable over the past decade. A single snowflake might not be as crucial to the collapse due to the entire system being flawed, but it still is worth monitoring for greater understanding. Being mindful of these economic triggers can allow you to stay out in front of economic turmoil. If these structural and cyclical problems are any indicator for what is to come, 2017 could be a year of financial reckoning. 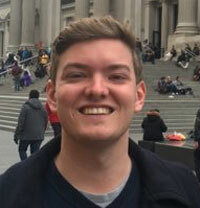 Craig Wilson is the Daily Reckoning’s Associate Editor. Prior working at Agora Financial, he was a researcher and writer who covered economics and international affairs. His work has appeared in The Nation, Bill Moyers, Tom Dispatch, Business Insider, ZeroHedge and other outlets. Craig holds a Master’s degree in International Affairs.